Item #AGD-25-10: Lot of twenty-five 20-30mm assorted gemstone donuts. 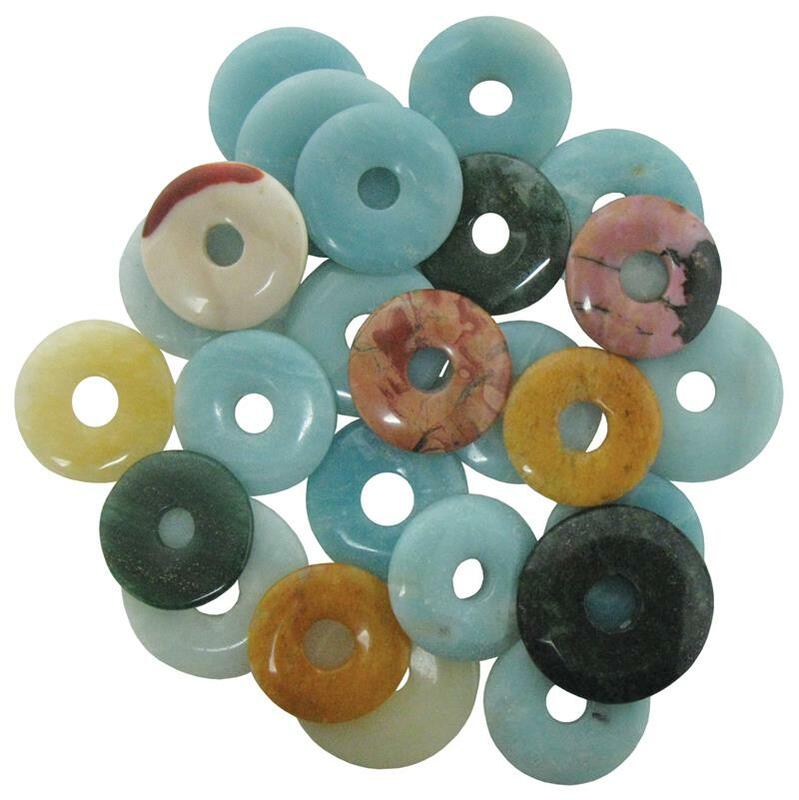 Item #MI-788: 25mm Amazonite donut pair. Item #MI-787: 25mm dyed yellow Quartz donut pair. Item #MI-717: 35mm Lapis Lazuli donut. Item #MI-718: 40mm Lapis Lazuli donut. Item #GSJ-2423: 18Kt. Yellow Gold Brooch with two 2.65" donut shape Lapis Lazuli. 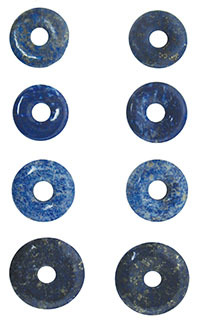 Item #Z-184: Lot of four Lapis Lazuli donut pairs. Sizes range from 8 -25mm.